Attempting to maximize patients chances of having a successful surgical outcome starts with education and knowledge. Although much is gained through personal research, studies show that the pre-operative education and evaluations from a multi-disciplinary team approach of professionals working with the same goal lead to a higher likelihood of successful surgical outcomes. This team consists of more than the just the surgeon who performs the operation. It includes the many dedicated consultants who evaluate to ensure a safe surgery. Also involved are a team of nurses who routinely take care of bariatric patients post-operatively and bariatric coordinators of the office and of the hospital who act as immediate contact people for support and questions. The entire philosophy and mutual goal of the multi-disciplinary team is to carefully screen all patients before the surgery to identify any potential problems and correct as appropriate to ensure safety and success during and after the operation. Meet Dr. Alex Nguyen, surgeon with NGPG Bariatric Metabolic Institute (BMI) and a fellowship-trained bariatric surgeon. Dr. Nguyen received his medical degree from the Medical College of Georgia. He is currently serving at the medical director of the Robotic Surgical Program at Northeast Georgia Medical Center (NGMC). Fellowship-trained in minimally invasive surgery, minimally invasive robotic surgery and bariatric surgery at the University of Texas, Dr. Nguyen was the first surgeon to perform robotic gastric bypass surgery in Georgia. Meet Dr. Sujata Gill of NGPG BMI. Dr. Gill received her medical degree from State University of New York at Buffalo and completed her General Surgery residency at Georgetown University Hospital in Washington, D.C. Dr. Gill is a board certified surgeon and a member of the Association for Women in Surgery. Most recently, Dr. Gill cared for patients as a surgery fellow at Emory University Hospital in Atlanta with an emphasis on bariatric surgery, advanced laparoscopy and robotics. 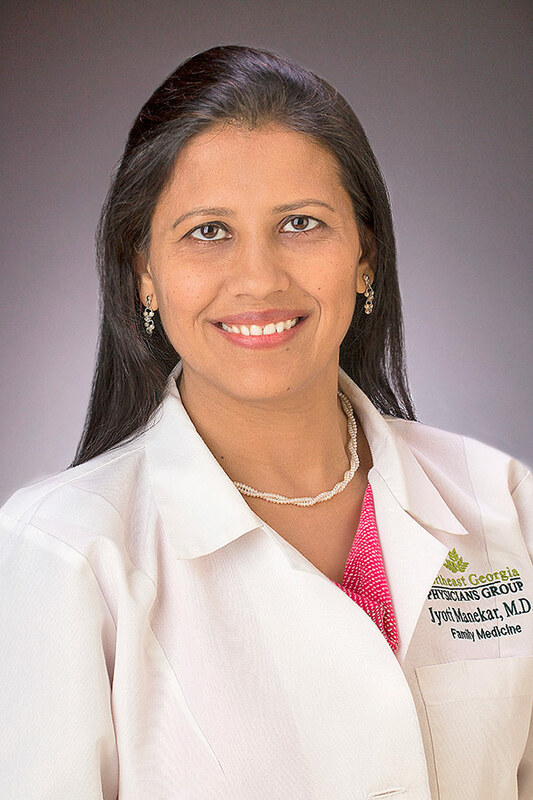 Dr. Gill explains, "I am very excited about practicing at Northeast Georgia Medical Center, Georgia's #1 surgery hospital and joining a prestigious practice like NGPG." As the bariatric coordinator for NGPG BMI, Leslie guides individuals through the surgical process, from prep to after care. A Registered Nurse with more than seven years’ experience with bariatric patients, Leslie received her Associate of Science in Nursing from University of North Georgia and is a Certified Bariatric Nurse. As the dietitian for NGPG, Jennifer works with patients throughout the surgical process by establishing individualized nutrition care as well provision of moral support. Jennifer received her Bachelor's degree in Dietetics at the University of Georgia and completed her Dietetic Internship and Post-baccalaureate Graduate Program with Georgia Southern University. She has shared her nutrition knowledge in a variety of settings including schools, hospitals, and our community. With her determination to promote good nutrition, Jennifer has committed to working with the bariatric team at NGPG to hone in her passion to help others achieve a healthier lifestyle for long-term success. Would you like more information about our services, procedures, and free educational opportunities? Call 770-219-9200 or fill out a quick contact form.